Ah, the polygraph -- a staple of crime dramas. There's the suspect, sweating it out as dancing needles reveal if he's telling the truth. While they may not be admissible as evidence in a criminal trial, and their accuracy remains a mystery, they remain a common trope of legal fiction, and legal fact. But what if you had one for the written word? European researchers think they've developed a tool that can help police identify false statements regarding mugging-style robberies, which could also be used to weed out other false police reports. A team from the United Kingdom's Cardiff University and Spain's Charles III University of Madrid have created VeriPol, a text analysis tool that uses machine learning techniques to look at information like the type of items which have been reported stolen and descriptions of perpetrators to identify false police reports. The system analyzes whether the alleged victim focused more on the stolen property than the incident in the report, provided a lack of precise details, could remember only limited details of the attacker, and the lack of witnesses or hard evidence as indicators of dishonesty or deception. 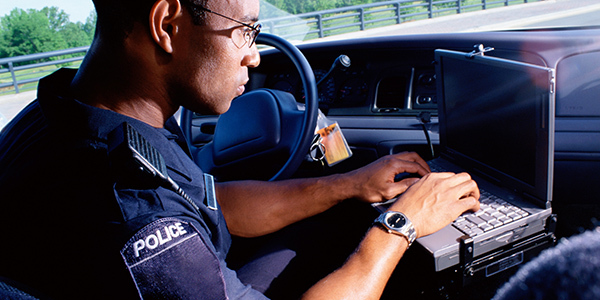 VeriPol's creators claim the program has over an 80 percent accuracy rate in identifying false police reports, within the same 70 to 90 percent range associated with classic polygraph tests. "The main goal is to create a tool that can be helpful for an early detection of these fake police reports, so it can be a complement to police expertise," Dr. Jose Camacho Collados, a research associate at Cardiff University, told Digital Trends. "As a side -- and perhaps more important -- effect, we expect that the awareness and communication of this problem will further prevent people from filing fake police reports." False police reports can lead to wasted time and law enforcement resources, insurance fraud, and of course, real criminal charges. So any tool that can filter out fake reports is a welcome tool for cops. However, we've seen that some officers can be less than truthful when filing their own incident reports -- no word on whether VeriPol can or will be used to keep cops honest as well.